In just a few weeks, the Mobile World Congress 2019 event will officially take place, so smartphone makers are also preparing to launch the latest flagship. 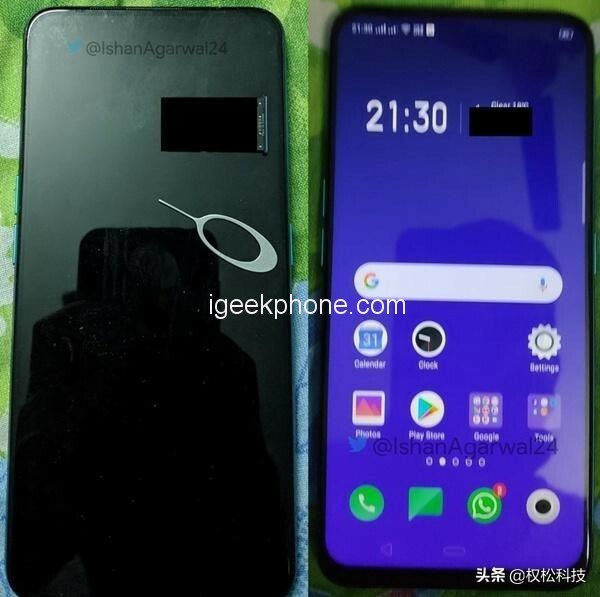 Although there is no information about the plan to “launch” the new device at MWC, the first information about their most anticipated phone has been leaked online. Recently a few leaked photos of an upcoming Oppo smartphone appear. 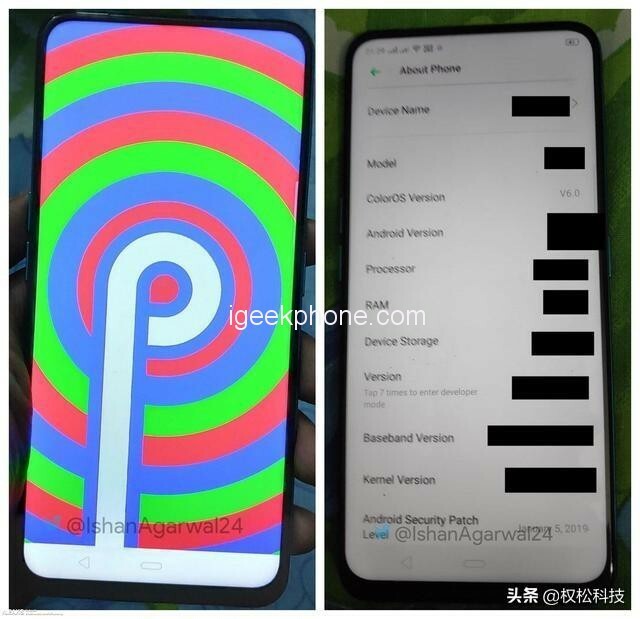 This could be Oppo R19 or F11 with selfie pop-up camera and screen without the notch, its configuration information of has been also exposed. 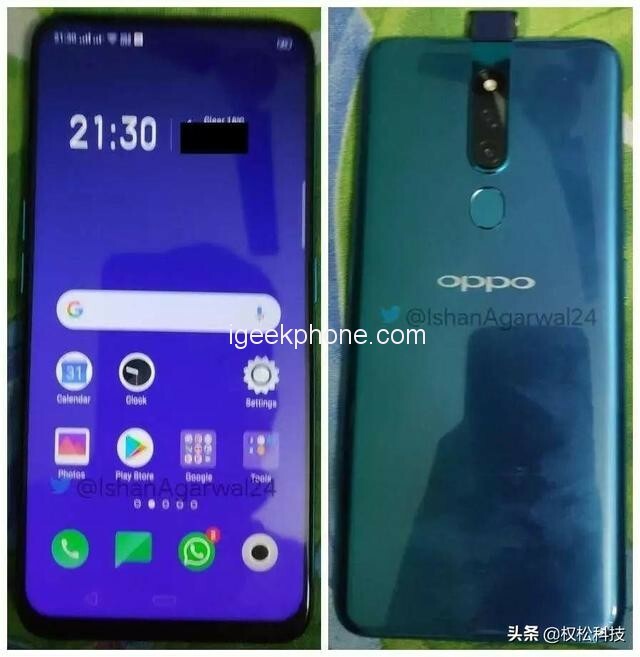 So, today we take a look and see that the how upcoming Oppo R19 will look like. 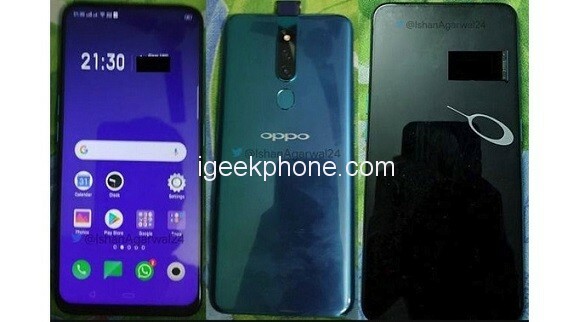 Oppo R19 will adopt a completely different design from the previous gen. Its front design adopts a combination of a motorized camera, which makes it a full-screen phone, On the back design, the new Oppo R19 features a triple-camera combination, which is vertically aligned, the fingerprint recognition is still placed on the back, while the body continues to use glass material. In general, the design of Oppo R19 continues the design concept of Find X, and the effect is even more amazing. Oppo R19 will be powered by the Snapdragon 680 processor, which has not yet been officially launched, but we believe that the performance of this processor will be good than Snapdragon 660. In terms of the memory combination, Oppo R19 is equipped with a 6GB+128GB memory combination, and it will have an 8GB+256GB variant which is also the flagship level. In the camera section, Oppo R19 will be equipped with a 20MP with a dual 12MP camera. The main camera supports the optical image stabilization function, while the front camera will be single 20MP. In terms of other configurations, the new Oppo R19 will support flagship functions such as face recognition, NFC and fast charging. It will be pre-installed Android 9 Pie operating system with interface “home-grown” ColorOS 6. At the launch time of this novelty, the new Oppo R19 will be officially launched in the first half of this year. Based on the release time of R series, it is speculated that Oppo R19 is likely to be released in May, but it has not yet been confirmed. For the price, the Oppo R19 will continue to place the mid-end flagship market, and its price is equally attractive. According to a report, the starting price of Oppo R19 will be 2499 yuan (about $370) which is a reasonable price. However, we will have to wait a while longer to confirm this information.